Considering most of TopSpeed’s readership resides in the US, odds are few of you have ever heard of SsangYong. To help you get up to speed, here’s a brief crash course. Founded in the 50s, SsangYong is the fourth largest automaker in South Korea. 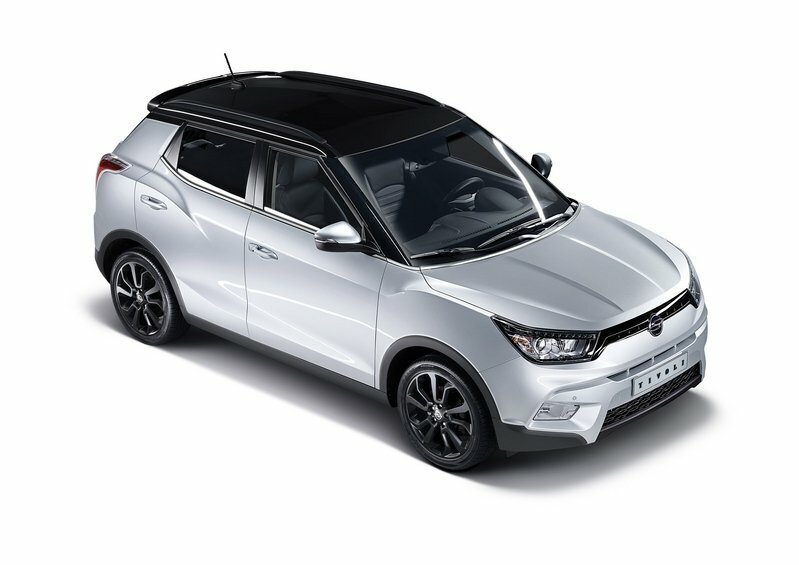 A few years back, the company was bought by Mahindra and Mahindra Limited, and since then, SsangYong has been busy developing the Tivoli, sinking 42 months of development time and investing 350 billion Korean Won into its creation. 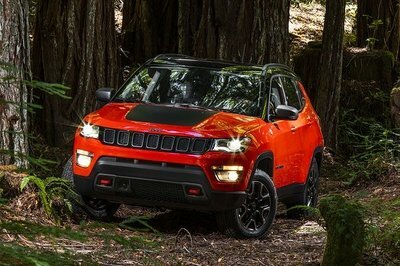 This compact SUV strives to be an entry-level vehicle that sports all the features of a mainstream crossover, but at a more affordable price. Named after the stylish town near Rome, the Tivoli was seen in concept form at four recent international motor shows, and was officially unveiled in Seoul last month. On the surface, the SsangYong Tivoli appears to have the right combination of flair, equipment and affordability. But it takes a closer look to determine just how well this machine stacks up in a market flooded with competitors. Click past the jump to read more about the SsangYong Tivoli. The Tivoli takes styling cues from the third-generation Korando, one of the marque’s many SUV offerings. The front end is nicely sculpted, with an angular front bumper that recedes back to a slim grille connecting the two headlights. These incorporate LED daytime running lights in the upper portion of the headlight housings. The hood line is wide, moving across pronounced wheel arches on either side. Moving to the profile, we see a wide C-pillar above rear wheel arches that are even more pronounced than those in the front. The roofline falls back into a wide tailgate, below which sits a centrally mounted rear fog lamp. A line of chrome trim advances from the rear door across the front door and underneath the windshield, adding a dash of high-end panache. Faux carbon-fiber door mirrors are also evident. The standard wheels are 16-inch, but options include 18-inch alloys and 18-inch diamond-cut wheels. Safety was one of SsangYong’s main concerns when building the Tivoli, and as such, 40 percent of the body uses advanced high-strength steel. Ten crucial areas of the car benefit from the incorporation of this material, with overall tensile strength increased from 590Mpa to 1500Mpa for greater crash resistance. SsangYong states that the Tivoli has achieved the highest rating possible for AE-MDB side-impact collision tests. Connectivity and technological integration are a main focus for the cabin area. With that in mind, the Tivoli’s infotainment was designed to easily interface with smartphones through a standard HDMI connecting cable. Through this system, music is streamed to a premium six-speaker sound system capable of playing numerous file types, including MP3, WAV, WMA, FLAC and APE. You can also play videos on a 7-inch color display screen, which integrates with the back-up camera. The ergonomic steering wheel has a flat bottom and comes covered in leather, and it’s heated! The instrument cluster is recessed into cylindrical pods, with the hue customizable between six different background colors: red, blue, sky-blue, yellow, black, and white. This idea is continued with the seats, intended to create a sports-car look and feel, with subtle lateral bolsters and high-quality stitching. These feature full adjustability and recline functions. Dual-zone climate control includes air conditioning and seven different temperature settings, plus three different modes and a memory function. There’s smart-key entry and locking, and a parking assist system with six sensors, including two in the front and four in the rear.There’s also a tire-pressure monitoring system. 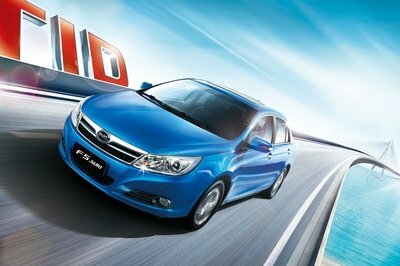 Standard features include a luggage screen, one-touch automatic wiper function, and automatic hazard light activation. Optional equipment includes a safety sunroof, cruise control, rain-sensing windshield wipers, automatic headlight activation, and an electrochromatic rear-view mirror. Topping it off are alloy pedals, and LED illuminated doorsills. To help reduce NVH, a double-skin insulated bulkhead sits between the engine bay and the cabin, soaking up any unwanted engine noise. A total of 423 cubic liters (about 15 cubic feet) of luggage space, enough to carry three golf club bags, makes for easy hauling. If you need more room in the interior, the second row seats fold flat. Of course, SsangYong is quick to point out further safety features. Seven airbags are in place, while the seat belts feature dual pre-tensioners for even greater protection. Under the hood of the Tivoli, SsangYong is offering either a gas or diesel powerplant, both with four cylinders and 1.6 liters of displacement. The gasoline option, called the e-XGi160, is a new development for the Korean carmaker. Output is 124 horsepower and 116 pound-feet of torque. NVH levels are kept at a minimum with features like an advanced timing chain, while the variable induction system helps maintain a balance between fuel economy and performance. An aluminum bedplate and high press die-casting on the bottom of the cylinder block increase strength and durability. The Tivoli is available with either front- or all-wheel-drive. An available, low-NHV, AISIN six-speed automatic gearbox is one option to route the power down to the pavement, with gear ratios between 0.67 up to 4.04. Drivers can adjust steering feel through a Smart Steer system with three different presets – Normal, Comfort and Sport. This adjusts the steering quickness and feedback provided by the electronic steering system to help tailor driving preferences. Additionally, the power steering module reduces power consumption by activating only when needed. Suspension on the Tivoli includes McPherson struts and springs in the front, and a Torsion beam with rear-mounted springs in the back, all complemented by an Electronic Stability Program (ESP). While pricing for the Tivoli has not yet been confirmed for international markets, the vehicle is currently on sale in Korea for 16.3 million Won. That converts to $14,826 at current rates (2/12/15). The inside is relatively unchanged, but given the Juke’s excellent cabin appointments, that’s ok. The brightly-colored center console and arm rests look cool, while the infotainment system is top notch. Materials used are high-quality, and the ergonomics of the steering wheel are fantastic. Options include parking assist, a 5.8-inch touchscreen, and satellite radio. Cargo space increases 40 percent to 12.5 cubic feet, while the rear seats can fold down for additional storage. Power is derived from a 1.6-liter, turbocharged four-cylinder, with 188 horsepower and 177 pound-feet of torque. Both AWD and FWD are available. With an MSRP starting at just under $20,000, this is the one to beat for SsangYong. 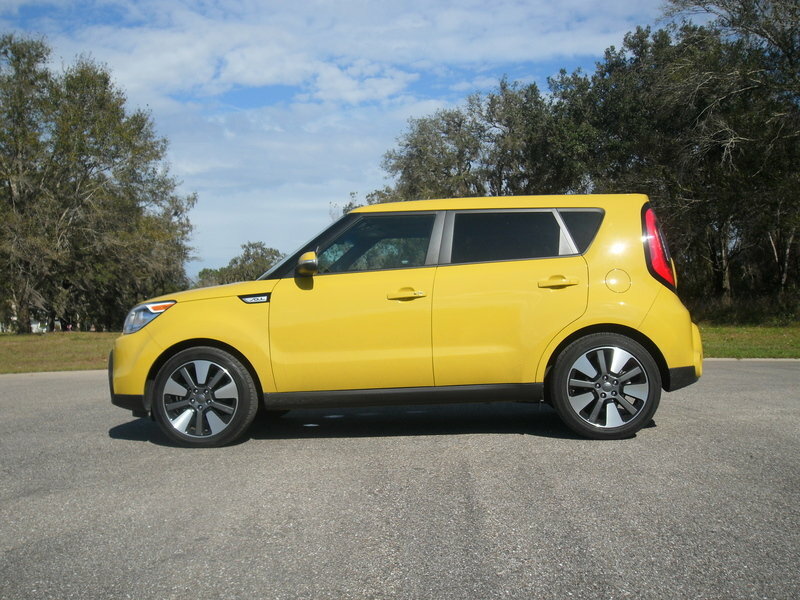 In a new generation for the 2014 model year, the Kia Soul is another small SUV from Korea. 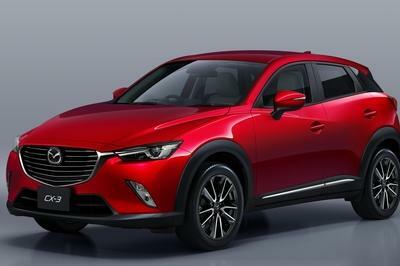 The boxy exterior design is a bit larger this time around, with a bigger front air intake, a new front grille, revised side mirrors, and subtle fender flares. Seven new exterior colors also join the options list. Rather than go with overt funkiness like the Juke, the Soul takes a more premium approach to the cabin, with leather, soft-touch materials, and high-gloss piano-black trim. Next to the Nissan, it’s definitely understated but every bit as well-appointed, with a standard six-speaker sound system, Bluetooth connectivity and SiriusXM radio, plus an available rear camera display, cooled glove box, and electrochromatic rear mirror. Engine choices include a base 1.6-liter four-banger with 130 horsepower and 118 pound-feet of torque, or a 2.0-liter with 164 horsepower and 151 pound-feet of torque. Both engines are available with either a six-speed manual or six-speed automatic transmission. Pricing starts at just $16,015, making this the bargain contender next to the Tivoli. 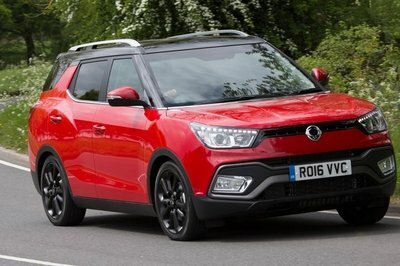 SsangYong made sure that the Tivoli was every bit as capable as its rivals. The car was tested to the German DIN standards for quality and reliability, which is the same testing used by the premium European car brands. It’s a safe, solid-looking crossover with good standard equipment at an affordable price. And while it ticks all the right boxes, the Tivoli is stepping into one very crowded segment. It makes the right moves, but it doesn’t really stand out from the masses either. The only thing that will really draw in customers has to be the bargain price. And that’s a tricky fallback when moving to international markets. A higher import price wouldn’t leave the Tivoli with much to stand on. We’ll just have to wait and see what happens when the Tivoli finally leaves Korean shores. 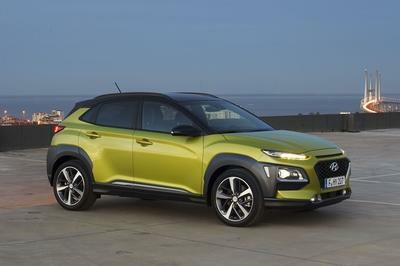 Demand from around the world for a compact size SUV offering comfort, stylish design, space and safety has been increasing, and is expected to continue, especially in the rapidly expanding B-segment of the market. ‘Tivoli’ is a car that offers the fusion of great design and sensible practicality, as well as class-leading safety and convenience, and will attract the style conscious customer who seeks form and function from their first entry into the SUV sector. This all new car takes its name from Tivoli, the Italian town near Rome with a reputation for style. Noted for its cultural heritage and beautiful location, the gardens at Villa d’Este have inspired many others to use the name, including the Tivoli Gardens in Copenhagen. 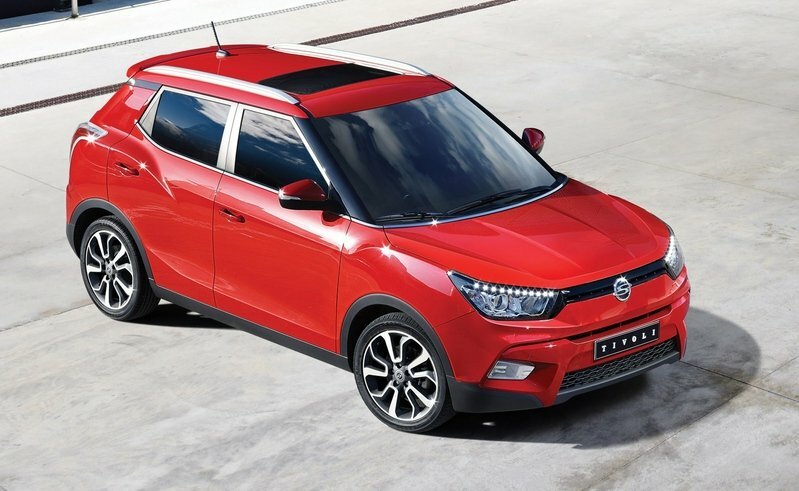 Tivoli, SsangYong’s new compact SUV is designed to provide both pleasure and excitement, is the first new model to be launched following the merger of SsangYong and Mahindra & Mahindra. It is the result of 42 months of development and an investment of 350 billion Korean won, and will compete strongly on design, safety and convenience. Following on from the Korando – a car well regarded for its more youthful and creative styling – Tivoli will take these young, powerful and robust design cues to a new generation around the world who seek their first SUV. Under development for the past three years and seen in concept form at four recent international motor shows, Tivoli features a dynamic, urban look with a contemporary silhouette, and embodies the rhythmical motion of SsangYong’s design language, ‘Nature-born 3 Motion’ – Rhythmical, Dynamic and Dignified. Inspired by contemporary city architecture, the car’s beautiful lines also reflect the fluidity found in nature. The front of the car conveys a strong and purposeful look. The width is emphasised by the car’s slim-line grille through to the headlights, which together have been inspired by a bird’s wings in flight. While the front bumper communicates strength, particularly emphasised by its dynamic air intake, the bonnet line is softer in character and stretches widely. In profile, the car’s rhythmical character flows through to the rear bumper to give a voluminous and strong stance, complemented by 16” or 18” alloy or 18” diamond cut wheels. The wide C pillar as another design cue endorsing SsangYong’s reputation for strong, powerful SUVs, while the chrome line detailing that flows from around the rear door, across the front door, and around the rear of the bonnet imbues Tivoli with a premium and sporting tone. At the rear, the balanced and well-proportioned look continues Tivoli’s confident, youthful image, with the rhythm continuing through the rear light units to link the side and rear in harmony. The rear bumper provides a strong base, above which sits the wide opening tailgate, and below, the centrally mounted rear fog lamp. The interior offers the modernity of a luxurious living space, with a stylish and contemporary look. Designed to offer driver and passengers easy connectivity to their IT devices, it also brings style, practicality and plenty of storage space. The compact yet deluxe interior also gives class-leading inner space and storage, and the width of the central fascia is accentuated, again by a look inspired by the shape of a bird’s outstretched wing. An ergonomically designed D-shaped sports steering wheel affords optimised grip, while the premium leather covering gives a premium, tactile feel. The heating function also helps to warm the driver’s hands in winter. The cylindrical-shaped instruments enhance the driver’s focus and motoring pleasure, while for the first time in this class, the cluster illumination can be personalised to any of six subtle background colours red: blue, sky-blue, yellow, white and black. There are three interior trim colours, black, beige and red, with the red interior package especially designed for customers looking for a sportier ambiance. Designed with passengers’ complete comfort in mind, the car seat function and materials have been carefully selected to create a sports car like look and feel: reclining and adjustable, and with premium touch material with quality stitching. The generous luggage space of up to 423 cubic litres is enough to carry three full size golf club bags, and the second row of seats can also be folded fully flat for further carrying capacity. The powertrain of the Tivoli is compact yet highly efficient with the choice of 1.6 litre petrol or diesel engines. In development for over three years, the car has been tested from minus 42 degrees in winter to desert temperatures of over 50 degrees, and with brake testing in mountain altitudes of up to 4,000 metres. The newly developed e-XGi160 petrol engine delivers up to 126ps max power with 16.0kg max torque, and offering optimised performance for both urban and motorway driving with excellent NVH (noise, vibration & harshness) characteristics, and a variable induction system optimises fuel efficiency to deliver maximum performance in daily driving. Other notable features include an advanced timing chain to limit engine noise, and for the first time in Korea, the application of an aluminum bed plate with high press die-casting to the bottom section of the cylinder block to increase engine strength and durability. An AISIN 6-speed automatic transmission is also available on Tivoli. Already well proven, this unit is engineered to improve fuel efficiency and minimise power loss. Gear ratios range from 0.67 through to 4.04 help to transfer power smoothly through the gear changes, and further contribute to minimising vibration and noise. The car has also been tested to the German DIN standard for quality and reliability, the same testing procedure used by premium European car manufacturers. The Smart Steer system offers three different steering modes - Normal, Comfort and Sport. Depending on preference, the driver can adjust the steering feel according to the driving conditions, and offers safe, comfortable steering when parking, slow speed and stop/start city driving, or high-speed motorway cruising. Fitted as standard, this electronic power steering system helps reduce steering effort while also minimising power consumption by ensuring that the motor is only activated as required. The Tivoli is equipped with McPherson struts and springs for the front wheels, and provides supreme occupant comfort and high speed stability. For the rear wheels, Torsion beam suspension with rear mounted springs is light yet durable, affording smooth and stable driving. A double skin insulated bulkhead between the engine bay and the cabin, also minimises the ingress of engine noise. Tivoli is built to an extremely high level of strength and safety, and some 40% of its body construction uses AHSS (Advanced High Strength Steel). To minimise collision impact, 10 major areas on the car are strengthened using the ‘hot press forming’ process, where the strength of the steel is increased to 1500Mpa compared to plain steel with a strength of 590Mpa. Additional active safety features include ESP (Electronic Stability Program), LED daytime running lights, and a tyre pressure monitoring system. Tivoli has also achieved the best result in the AE-MDB test which evaluates the level of safety in a side-collision accident. SsangYong places great emphasis on safety, and Tivoli comes with seven airbags that include a driver’s knee airbag, and an advanced seat belt system with dual pre-tensioners, which automatically tightens the belt to hold passengers in place during an impact to prevent injury. The principal concept supporting the Tivoli’s infotainment system is that it optimises the technology available via smart devices. By simply connecting your smart phone with the HDMI (High-Definition Multimedia Interface) cable, videos and music can be streamed to the 7 inch display screen, which is also linked with a rear view camera. Numerous multimedia files can be played through the premium 6 speaker system, including MP3, WAV, WMA, FLAC and APE. Tivoli features an air conditioning system that will deliver just the right ambience. The temperature can be adjusted to seven different levels. Complete with dual zones, it can also be set to three different modes, plus a memory function. There’s a smart key entry and locking facility, and a six sensor (two front and four rear) park-assist system to aid safe and convenient parking. Additional standard convenience features include a luggage screen, one-touch automatic windscreen wash/wipe, and automatic hazard warning light activation, while a safety sunroof, cruise control, rain sensing wipers, automatic headlight activation, and ECM interior rear view mirror are also available. Styling details include items such as carbon-look exterior door mirrors, alloy pedals, and LED illuminated door kick-plates.